The shortest answer and the most unwanted one would be nowhere in the US, but that wouldn’t be completely true, though. There are two important laws that have sealed the destiny of online gambling in the States. 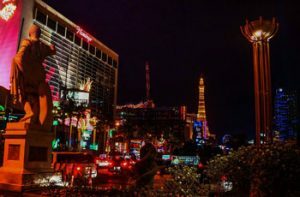 The first one is the passing of the notorious UIGEA (Unlawful Internet Gambling Enforcement Act) law that prohibited online gambling on the American soil. The only form of games related to the chance that wasn’t included in this act are the lottery games such as the state lottery. It’s needless to say that this event completely crushed the American online casino scene. The final devastating act against online gambling in the USA followed several years later, in 2011, to be exact, when the Department of Justice announced that all poker- playing sites were illegal and were immediately shut down. That may seem like a quite grim and unfavorable situation for both gamblers and gambling services in America but the overturning of Professional and Amateur Sports Act by the Supreme Court in 2018, provided a glimpse of hope that things are going to change for better soon for the lucrative online gambling scene. There are some isolated cases of states that legalized online casinos such as the state of Delaware where they started with legalizing sites that offer various table games and slots as well as different video poker games. That is not all, Delaware was the first American state that offered legal sports gambling to players. Another state that is making considerable effort to making online gambling legal is New Jersey. The online gambling state law was passed in New Jersey in 2013 providing for Atlantic City to obtain the online gambling license and become the host of various casino sites. Prohibition of online gambling in the United States was welcomed with joy by numerous offshore-licensed online casinos located in Curacao or some other tax haven. These casinos offered a warm welcome to American gamblers after online casinos had been banned in their homeland. This is the situation with the online gambling in America in a nutshell but let’s see how the things work with oldfashioned gambling in land-based casinos. Another center of American gambling industry is Atlantic City, New Jersey. The state of New Jersey pronounced Atlantic city the free – gambling zone in 1977 with the aim to revitalize this run-down area. This attempt was more than successful because Atlantic City soon became an attractive destination for tourists whose only intention is to try their luck in some of the most famous Atlantic City casinos. The gambling industry brings enormous income to the state, let’s take the sports betting as an example. This lucrative scene brought a remarkable $9 million revenue in sports bets in August 2018, and the profit soared up to the incredible $208 million. Riverboat casinos are, as the name states, casinos established on the boats in the states along the Mississippi River and the Gulf Coast. They represent an attempt of some casinos (from countries in which gambling is generally prohibited) to give their potential customers a place to gamble. Namely, in the late nineties, the riverboat casinos were legalized under some very precise conditions. All of the gambling actions should be performed exclusively while the boat is on the surface of the water. Some went one step further by allowing gambling only while boats were sailing. However, owners of riverboat casinos have turned a dumb ear on these restrictions because of a report from 1998, showed that only three out of 16 riverboat casinos in the Mississippi and Missouri area have complied with these regulations. Most of them obviously have never left the dock. When the devastating hurricane Cathrina hit in 2005, destroying the riverboat casinos on its way and all the hotels and restaurants, some states changed their legislation allowing for the casinos to be rebuilt on land, provided that they are in the vicinity of the river. Seminole tribe established the first Native American casino offering Bingo in 1979 thus triggering the trend followed by many other tribes. These casinos don’t fall completely under the jurisdiction of the United States gambling legislation because they are within the tribal sovereignty so that the US laws can be executed to some limited extent. The Indian Gaming Regulatory Act was passed in 1988, which allowed the keeping of the sovereignty as long as some kind of compromise regarding the overlapping jurisdiction is reached between the tribal and the state authorities through the Tribal-state compact. The IGRA also enabled the federal government to regulate the gambling. After the IGRA act was signed the profit from Native American casinos started to increase rapidly. From the $100 million in 1988 to the astonishing $16.7 million revenue collected in 2006. While there are some states where gambling is completely legal in casinos all over the state territory like in Nevada and Louisiana, gambling is legalized only in limited areas of other states like for example Atlantic City, New Jersey or Tunica, Mississippi. 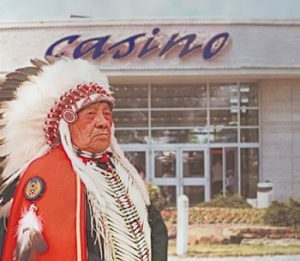 Some states restrict legal gambling to the zones near rivers where the riverboat casinos are popular and there is also a Native American community that organizes gambling within reservations. The Native American casinos are regulated by the IGRA and monitored by the federal government. The situation with the online gambling scene is far more legally regulated, in other words far more restricted. For this reason, numerous Americans seek refuge in various offshore online licensed casinos worldwide.